In 2008 640 new families affected by Congenital Diaphragmatic Hernia joined our CHERUBS family. We are so honored and humbled to be able to help so many families and to provide so much support, information, awareness and research. That is what CHERUBS is here for and what we are all about. Helping ALL CDH families as much as possible. Only 5% of our forums are public so make sure to sign up to see all the great information and support! Membership is free. There is an approval process which can take up to 48 hours so make sure to fill out your form thoroughly to speed up the process. All information is 100% confidential and is not given or sold to anyone or any other group or business. We value our members’ privacy and safety, which is why we verify each new member. Information on your membership form is also used for CDH Research so you not only get wonderful information and support but you help CDH research as well! Updates on our organization, CHERUBS! Research, web site, newsletters, media, finances, legal, etc. If it’s new, you’ll find it here! Web site updates, issues, additions and general web site news. Yes, YOU can make a difference in the fight against CDH! Creative ways to volunteer, info on where donations are needed most, our Angels for CHERUBS Program and much more! Stories of surviving CDH patients already printed in our newsletter, “The Silver Lining” and our book, “Stories of Cherubs” Please do not post your stories here (we’ll post them for you after they are published) but please feel free to add updates to your stories or comment on other stories by using the Reply button on story post. 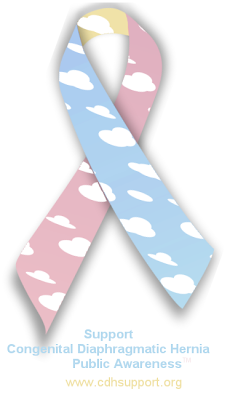 Stories of CDH patients lost that are already printed in our newsletter, “The Silver Lining” and our book, “Stories of Cherubs”. Please do not post your stories here (we’ll post them for you after they are published) but please feel free to add updates to your stories or comment on other stories by using the Reply button on story post. A place for dad’s to talk about CDH or sports or whatever they want. Grandparents have a double-dose of worry to deal with; worrying and sometimes grieving their cherubs and worrying and want to make it all ok for their children who are the parents of their cherubs. Here they can support each other and offer advice and info. Place for kids 10 and over to talk to other cherubs and siblings. Having and/or losing a very sick child can wreck havoc on even the strongest relationships. Here you can talk without judgement and hopefully gain some info and support to help . Inspirational stories, quotes and poetry. Please reference authors! For discussions other than CDH. Laugh about your kids antics, cry about losing a loved one, vent about your boss… just respect the site rules and you can write about anything here. Dealing with CDH and Extracorporeal Membrane Oxygenation machines. Dealing with asthma, lung function tests, vent or oxygen dependency, and other lung issues. Growing up after having CDH is still an uncharted territory. Here you can talk to other parents about dealing with puberty, playing sports, having children of their own and much more. Parent opinions on hospitals / doctors / nurses and other medical care providers. Research papers, articles, and more – also see Research Links! Meet our wonderful volunteers and learn how you too can help at CHERUBS!Meet Our Wonderful Volunteers!